Nick is an internationally recognised fraud, security, risk and trust innovator. 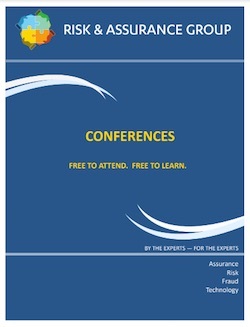 At the Summer RAG Nick will contribute to our panel debate about fraud management priorities. Having begun his career with the Inland Revenue, Nick moved on to British Telecom, the London Stock Exchange (where he was the first ‘Head of Investigations’) and IMRO before building the Security and Investigation Department at Orange plc. He was previously a director of two international risk management consultancies specialising in telecoms and financial services; Praesidium and Stork Ltd.
For 5 years until May 2009 Nick was the Director of Fraud, Risk & Security for Vodafone Group (Global). He was also Chairman of the GSMA Fraud Forum until May 2009 and is now the Chairman of the global Fraud & Security Advisory Panel. Nick runs his own advisory service specialising in strategic and internal risk management.